Total Gest provides a full range of enzymes to help the body digest food fully so it can absorb all the nutritional benefits of what you eat. Earn up to 58 DR Reward Points. Digestion is the process by which the body takes the foods you consume and breaks them down to access the nutrients they contain.1 The body then disposes of what is leftover, making room for future meals. The body begins preparing the food as soon as it enters your mouth, with your saliva lubricating the food and starting to break down starch materials. From there the food travels through the esophagus and into the stomach, where stomach acids break down the bulk of the food and pass it into the small intestines. The intestines are where most of the nutrients are absorbed into the bloodstream and become available for the body to use, anything that cannot be broken down into usable nutrients is passed through the intestines and colon, becoming waste. 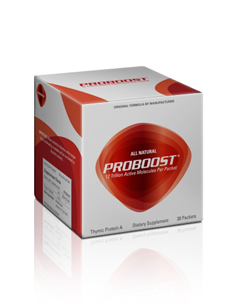 Enzymes are specialized proteins which start chemical changes in the body, those associated with digestion help the composition of foods be broken down into smaller pieces, making the nutrients within food accessible to the body. Enzymes are produced naturally by the body but diet, stress, and illness can all deplete the body’s natural enzyme stores and leave the digestive system inadequate for properly breaking down food.2 If food can not be broken down properly it can lead to gas, bloating, feeling like you’re full much sooner than normal, and malnutrition. 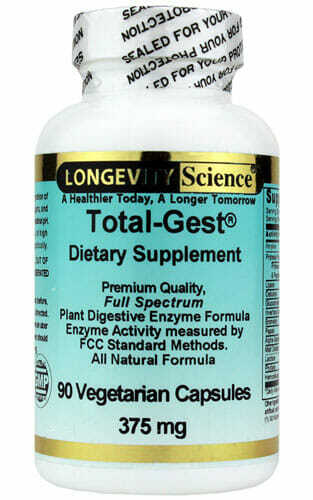 Through enzymes and supporting the health and function of the digestive tract, Total Gest helps the body break down and absorb the most out of everything you eat. Food is the best and most direct way for the body to obtain nutrients, and with the digestive system working to the best of its ability more nutrients can be absorbed, improving overall health.5 Total Gest aims to help improve total health, starting from the stomach and through better digestion giving the body the boost it needs to reach its full potential. Other Ingredients: cellulose capsule, maltodextrin, and rice flour. One capsule 5 minutes before, during, or after meals, or as directed. Caution: Check with a physician before use if you have an ulcer or gastritis. 2. Kumar P, Satyanarayana T. Microbial glucoamylases: characteristics and applications. Crit Rev Biotechnol. 2009;29(3):225-55. 3. Carpenter D, Dhar S, Mitchell LM, et al. Obesity, starch digestion and amylase: association between copy number variants at human salivary (AMY1) and pancreatic (AMY2) amylase genes. Hum Mol Genet. 2015;24(12):3472-80. 4. Teles C, Smith A, Lang S. Antibiotic modulation of the plasminogen binding ability of viridans group streptococci. Antimicrob Agents Chemother. 2012;56(1):458-63. 5. Maurer HR. Bromelain: biochemistry, pharmacology and medical use. Cell Mol Life Sci. 2001;58(9):1234-45.